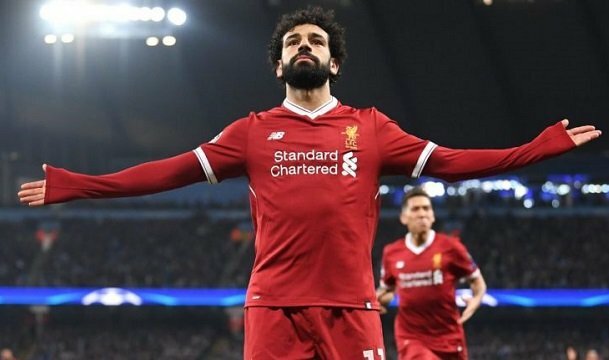 Let’s be fair — there’s no easy games when you get this far in the Champions League, but on the back of comprehensively dismantling Manchester City and avoiding the likes of Bayern Munich and Real Madrid to draw AS Roma for the semi-finals, it looks like Liverpool are in with a shout of securing a spot in Europe’s showpiece event. What began with a raucous bus welcome at Andfield ended with the Reds coming from behind to beat City at the Etihad a fortnight later. Three unanswered goals on Merseyside meant the script was flipped and Jurgen Klopp’s side were favorites seal a spot in the last four, but an early goal from Gabriel Jesus gave the hosts hope until a second half strike from Mohamed Salah insured safe passage and Roberto Firmino sealed the deal with his eighth goal of the competition. It seems that we broke Pep Guardiola’s side. There are some who feel Sky Blues have taken football to a new level, one that represents the future of the game and consigns the dominance of the likes of Liverpool and Manchester United to history. The internet age means fans can stream the live action and place their bets from across the globe; it’s to the point where getting involved in the Premier League action is as easy as logging on to a site like Energy Casino and spinning some casino slots online. But while online engagement among fans is one thing, for those out in the middle, this is no idle game of Castle Builder or Eye of Horus. For City, reality bit, and bit hard, last week. Following the first leg, the Citizens had a golden opportunity to regroup with a once in a lifetime chance to win the title at home against United, but after racing to a two goal lead, they fell apart as their visitors bagged three on the hop to spoil the party at the Etihad. The Reds, of course, went on to do the same when only days later they knocked their heavily favoured opponents out of Europe. You could say they were poor and that a number of refereeing decisions cost them, but that unfairly casts Liverpool as lucky — though a bit of luck never hurt anyone in this competition and they’ll certainly need some in the next round. This will be the first time they’ve met Roma in competitive action since the Group Stages of the 2002 Champions League where they blanked the Gilarossi with a 2-0 win at Anfield and a scoreless draw in the Eternal City. That sounds like a pretty decent game plan, but Eusebio Di Francesco’s side know a thing or two about turning the tables. If you want to go by the media narrative, they have no right being here and if you want to talk about luck, the Romans seem to have it in abundance. Sneaking their way in to the last eight after squeaking past Shakhtar Donetsk on away goals, the Italians looked to be heading out after losing 4-1 to Barcelona in the first leg of the quarter-finals, only to make that away goal pay dividends with a 3-0 win over the Catalonians at the Stadio Olympico. What’s dangerous is that they have nothing to lose; there’ll be no eyebrows raised if they go out at this stage and that makes them more dangerous than Real Madrid and Bayern Munich. That pressure to perform, that expectation is still there, but not at all to the same extent, but in the same token, Liverpool were never supposed to beat City so we’re a surprise package as well — and one of these underdogs will be heading to Kiev come May.